A gene associated with dyslexia, a learning disorder, may make some athletes less susceptible to concussions, according to a new study by Northwestern Medicine and Penn State University. “This finding raises the question: Are there particular factors we can determine that put players at higher risk, and should those players be placed in sports that don’t have the potential for head trauma?” said co-first author Amy Herrold, a research assistant professor of psychiatry and behavioral sciences at Northwestern University Feinberg School of Medicine, in a statement. With the help of team physicians, researchers studied the concussion histories of 87 Penn State football players who were active between 2015 and 2017. They also swabbed each player’s cheek in order to analyze a number of genes – among them, a gene called KIAA0319. Scientists chose to study that gene because of its role in cell adhesion and migration, according to Alexa Walter, co-first author of the paper and a graduate student in kinesiology at Penn State. KIAA0319 could have an effect on how neurons respond to head impacts or are repaired after an injury. There are three variants of every gene. Researchers found athletes with one variant of the gene that did not cause dyslexia were more likely to have a history of concussion injuries. Athletes with the version of the gene that causes dyslexia were less likely to have concussion injuries. Researchers believe the protection afforded by the gene associated with dyslexia may relate to the way the dyslexic brain is wired. “Dyslexia may be neuroprotective, a hypothesis that could be tested,” said co-corresponding author Sam Semyon Slobounov, professor of kinesiology and of neurosurgery at Hershey Medical School of Penn State University, in a statement. 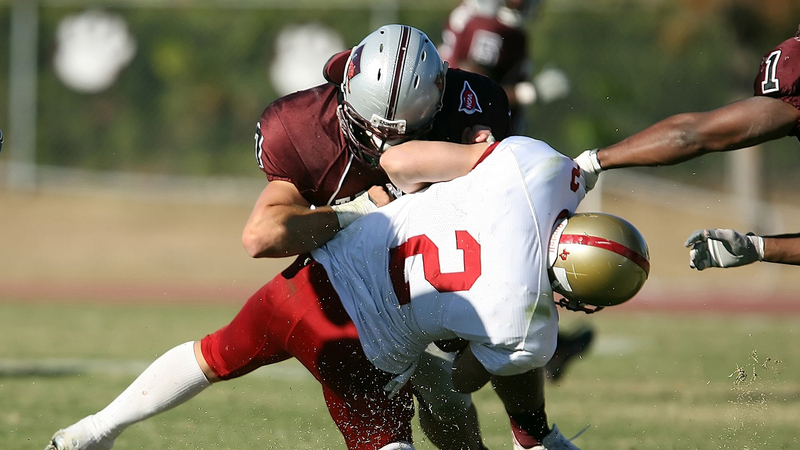 The study, which was published in the Journal of Neurotrauma, is part of a larger project that studies the neuroscience of head impacts in athletes called the Concussion Neuroimaging Consortium. The research was funded by the labs of Semyon Slobounov and Breiter.